Try SelectPdf PDF Library for .NET. Code samples in C# and VB.NET are available, as well as ASP.NET, MVC, Azure and many more. SelectPdf Library for .NET – 2018 Vol 4 has just been released. Together with the full featured PDF library, the community edition of our SelectPdf Free Html To Pdf Converter for .NET v18.4 was also released. SelectPdf has now .NET Core support available for both SelectPdf Commercial Library and Community Edition. The .NET Core version supports .NET Core 2.0 and above (through .NET Standard 2.0) on Windows systems. Support for Microsoft Azure Web Apps is now available for both SelectPdf Commercial Library and Community Edition. The release also contains overall speed improvements and bug fixes. The 2 products can be downloaded from our website or via NuGet. This entry was posted in HTML to PDF Converter, PDF LIBRARY for .NET, HTML to PDF Library, Press Release, Releases HTML to PDF, Pdf Library for .NET and tagged download free trial, download selectpdf, html to pdf converter, html to pdf converter for .net core, Microsoft Azure, new release, pdf library on November 12, 2018 by selectpdf. SelectPdf Library for .NET – 2017 Vol 3 has just been released. Together with the full featured PDF library, the community edition of our SelectPdf Free Html To Pdf Converter for .NET v17.3 was also released. This entry was posted in HTML to PDF Converter, PDF LIBRARY for .NET, HTML to PDF Library, Press Release, Releases HTML to PDF, Pdf Library for .NET and tagged download free trial, download selectpdf, html to pdf converter, new release, pdf library on October 17, 2017 by selectpdf. Select.Pdf Library for .NET – 2017 Vol 1 has just been released. Together with the full featured pdf library, the community edition of our SelectPdf Html To Pdf Converter for .NET v17.1 was also released. The release contains a lot of new features, speed improvements and bug fixes. This entry was posted in HTML to PDF Converter, PDF LIBRARY for .NET, HTML to PDF Library, Press Release, Releases HTML to PDF, Pdf Library for .NET and tagged download free trial, download selectpdf, html to pdf asp.net, html to pdf mvc, new release, pdf library on March 23, 2017 by selectpdf. 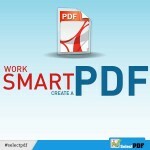 SelectPdf for .NET is a professional PDF Library that can be used for creating, writing, editing, handling and reading PDF files without any external dependencies within .NET applications. Using this .NET PDF library, you can implement rich capabilities to create PDF files from scratch or process existing PDF documents entirely through C#/VB.NET in ASP.NET MVC (ASPX or Razor views) without installing Adobe Acrobat. This entry was posted in HTML to PDF Converter, PDF LIBRARY for .NET, HTML to PDF Library and tagged free html to pdf mvc, html to pdf asp.net, html to pdf mvc, pdf library on November 16, 2016 by selectpdf. What SelectPdf product should I use to convert from HTML to PDF? Recently, we had several customers asking: “What product should I use?” or “I am confused. Do I need the API or the .NET component?” or “Where are the conversions performed: on our website or on yours?”. This entry was posted in FAQ - PDF Library, HTML to PDF Converter, Html To Pdf REST API, PDF LIBRARY for .NET, HTML to PDF Library and tagged html to pdf converter, html to pdf rest api, pdf library, rest api on March 31, 2016 by selectpdf. Select.Pdf Library for .NET – 2015 Vol 2 has just been released. Together with the full featured pdf library, the community edition of our SelectPdf Html To Pdf Converter for .NET v1.2 was also released. The release contains a lot of bug fixes and speed improvements. 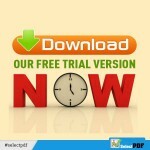 This entry was posted in HTML to PDF Converter, PDF LIBRARY for .NET, HTML to PDF Library, Press Release, Releases HTML to PDF, Pdf Library for .NET and tagged download free trial, download selectpdf, free trial, html to pdf converter, new release, pdf library on May 29, 2015 by selectpdf. How to fix: Conversion failure. Could not find ‘Select.Html.dep’. IMPORTANT: If you are setting the full path to Select.Html.dep in code using the HtmlEngineFullPath property of the GlobalProperties class, do not forget to include the file name (Select.Html.dep) with the path. There are special cases that need to be taken into account when deploying applications that use SelectPdf and you get the “Conversion failure. Could not find ‘Select.Html.dep'” error. One is related to One Click deployments (Publish…) from Visual Studio. To be sure that Select.Html.dep is deployed, add it into the project as a regular file and set the ‘Build Action’ to ‘Content’ and ‘Copy to Output Directory’ to ‘Copy Always’. Rebuild and redeploy your project (make sure that Select.Html.dep.deploy exists in the deployment folder). This entry was posted in FAQ - PDF Library, HTML to PDF Converter, PDF LIBRARY for .NET, HTML to PDF Library and tagged html to pdf converter, pdf library, selectpdf deployment on April 8, 2015 by selectpdf.